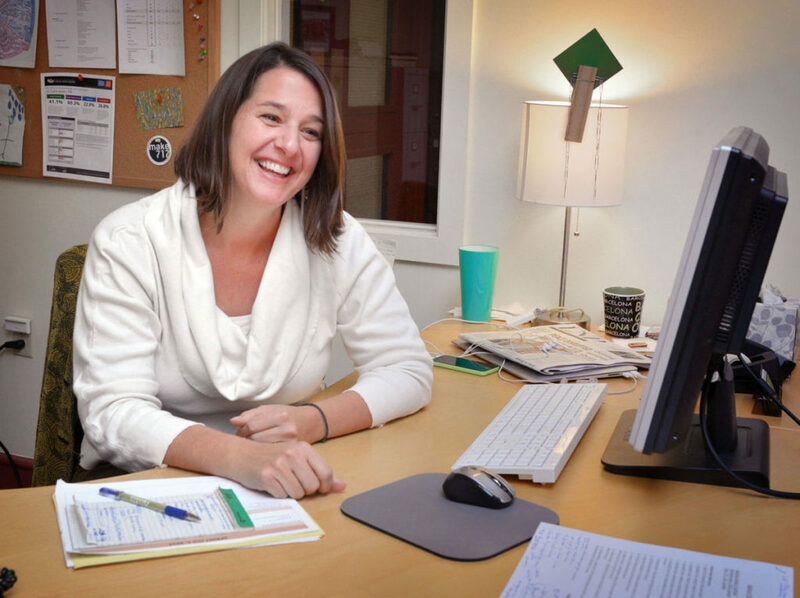 LNP features ASSETS Executive Director, Jessica King, in October 11th’s In The Spotlight. You can view the original post, including images, here. Jessica King has spent her career helping others improve their lives. As executive director of Assets Lancaster, she helps carry out its mission to create economic opportunity and cultivate entrepreneurial leadership to reduce poverty and build sustainable communities. And she’s one of dozen people named to Lancaster Mayor Rick Gray’s Commission to Combat Poverty. When the mayor announced he’d be forming the commission, King contacted him about her interest. Coincidentally, she said, she and others had recently been thinking about what could be done about poverty. And that was before Franklin & Marshall College released a report in August suggesting economic strategies that boosted downtown may have caused decline throughout much of the rest of the city where mostly minorities live. “I think there was a growing groundswell of organizations doing a more coordinated effort,” she said. The problem of poverty is daunting, she acknowledged. But there’s also precedent for seeking other solutions, she said, such as work the Lancaster County Coalition to End Homelessness is doing. Helping others is ingrained in her Mennonite upbringing. “If you don’t do military service, you do civic service. It’s just part of the tradition,” she said. Before joining Assets, King, who is from Lancaster County, had lived in Pittsburgh. There, she worked with the Pittsburgh Urban Leadership Service Experience, the Thomas Merton Center, which works on peace and social justice issues, and helped found the Union Project, a $3 million project that turned an old abandoned church into a community space for entrepreneurs, artists and non-profits to work. “We used to call it an urban barn-raising. We took our Mennonite roots and turned it into an urban experience,” she said. Family: Husband Chad Martin and daughters Esmé, 10, and Eleni, 6, Martin. Education: Bachelor’s degree in English/liberal arts from Eastern Mennonite University, MBA with a focus on environment, equity and economics from Bard College. Words that describe me best: Entrepreneurial, persuasive, empathetic. My first job was: Inventory and stocking shelves at my mom and step-father’s paint store. Favorite thing about my job: Working with a team of fun, motivated and inspired people; supporting beautiful businesses and social enterprises that are improving lives and communities; walking to work. But overall the opportunity to implement innovative things to impact people’s lives and the community in positive ways. The most challenging aspect of my job: Turning my thoughts to other things at the end of the day! I work to fight poverty because: Everyone deserves opportunity. We have enough resources to do better. I also work to fight poverty because I recognize the privilege I’ve had as a white, educated person with access to significant social capital. I have to use that privilege for change in solidarity with those who haven’t had that privilege. Our lives, our communities and our collective well-being are completely tied together. I am not OK while half (or more) of my neighbors live below the poverty line. I firmly believe that economic opportunity is the root cause of so many of our social challenges: Crime, violence, food insecurity, health disparities, educational attainment and more. We can do better. Someone I admire: My mom. She was widowed when I was a child and she held our lives together. This built a lasting respect for single parents and those who have survived deep loss. Favorite music: High school drum lines and American roots music. Favorite meal: B2 at Rice & Noodles. The person I’d most like to have dinner with: My dad. He died when I was a child and I’d like to know him. Always in my refrigerator: Kale, eggs. Hobbies: Sewing, spinning yarn (including pet angora wool,) gardening. The best gift I’ve ever received: My kids and unconditional love. People would be surprised to know: I’m pretty shy and introverted. My unfulfilled ambition: Living in a zero-energy house with a few acres to have sheep, goats and chickens and a huge garden. My mom always told me: Be clear on your motivation and the way will become clear. Pet peeve: People who talk too much. My idea of exercise: Yoga or a long walk in Lancaster County Central Park. I collect: Fabric for sewing and fiber for spinning. Always ideas for things to make but never enough time. Apparently this eventually turns into a collection! The best advice I ever received: Be kind, because everyone you meet is fighting some kind of battle. "2019 Pitch: What’s Your BIG IDEA?" "ASSETS Welcomes New Joint Leadership" "Celebrate B Corp Month This March" "Co-Executive Director, Jonathan Coleman, returns from sabbatical" "This Holiday Season, We’re Shopping For Good"